Watch the key moments from Saints' draw with Huddersfield. Highlights from Saints' draw with Huddersfield. Images from Southampton's 1-1 draw with Huddersfield. Watch the boss speak after the draw with Huddersfield. The boss gives his verdict on the draw with Huddersfield. Striker's hot streak continues against Huddersfield. Saints boss on overcoming loss of Cédric and Ryan Bertrand. Watch the boss's interview ahead of Saturday's game. The Saints boss on what he wants to see against Huddersfield. Saints boss previews Huddersfield clash. Saints get set for Terriers clash. Good luck getting all of these! Get the lowdown from a Terriers expert. Look back at some of the best images from this afternoon's match. Saints' half-time advantage didn't hold, as Laurent Depoitre's header cancelled out Charlie Austin's effort, meaning it's a share of the points at St Mary's. As we head into four minutes of added time Saints nearly grab the lead back. Matt Targett's in-swinging free-kick picks out Maya Yoshida, whose brilliant downward header from about 16 yards out slams against the base of the post. So close! James Ward-Prowse gets on the ball in a bit of space 25 yards out, but his powerful drive is well held by Jonas Lössl. It's a final change of the day for the visitors. Austin has picked up an injury and needs to be helped off the pitch, with Gabbiadini on in his place. Charlie Austin fires in a fierce effort, but it's turned away by Jonas Lössl. Saints complete a double change. It's a first change of the day for Saints. A brilliant low ball in from Collin Quaner is nearly met by a sliding Tom Ince, but he can't quite reach the ball fortunately for Saints. Substitute Tommy Smith delivers an excellent cross from the right, and Laurent Depoitre reacts best to it, getting in between the centre-backs and nodding home from a few yards out. Targett with a superb block! Huddersfield look set to equalise as they work the ball to Aaron Mooy on the edge of the area, but Matt Targett brilliantly throws himself in the way of the shot. The visitors complete a double change. A first change for the visitors. Austin misses a glorious chance! Saints counter brilliantly through Nathan Redmond, who runs forward and beats Collin Quaner, before squaring to Charlie Austin, but he takes a touch and fires wide from 12 yards with just the keeper to beat. After Hoedt is cautioned for a foul on Ince, Aaron Mooy tries his luck from 25 yards, but he bends his free-kick over the bar. The Saints defender goes into the book for bringing down Tom Ince. Huddersfield started the better of the two sides, but the visitors failed to take their chances, with Charlie Austin's 24th-minute header separating the teams at the interval. Charlie Austin tries to chip the Huddersfield keeper from distance, after he nearly got caught in nomansland, but Lössl got back in time to keep his effort out. It comes a few minutes after the Town keeper was caught on the nose by the boot of Austin as he slid out at the Saints striker's feet. Austin's red-hot scoring form has continued here at St Mary's! Nathan Redmond nearly gets in behind to shoot, but Huddersfield get back to block well. The ball eventually spins to Steven Davis, but his shot is deflected wide. Saints might have the lead, but Huddersfield are carving out more of the chances in this game. It's another opportunity for Christopher Schindler, but he heads tamely wide from a decent position. It's that man again! James Ward-Prowse's corner is met by the head of Wesley Hoedt, whose header goalwards is flicked in at close range by Austin! It's an excellent save from Fraser Forster, who gets a strong hand to Huddersfield captain Christopher Schindler's header, which was otherwise heading for the top corner. It's a first start and indeed a first appearance of the season for Matt Targett, who has been on the ball early on. 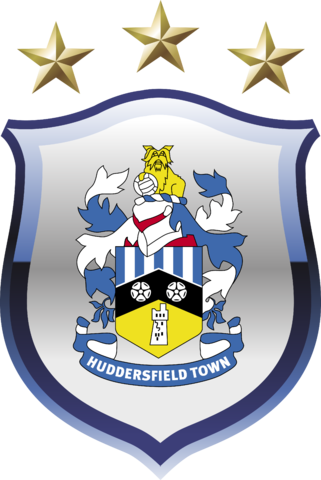 Huddersfield again carve out a brilliant chance, as Tom Ince produces some good work down the right and cuts it back for Aaron Mooy in space inside the area. He takes a touch and sends a right-footed shot goal wards, but Steven Davis gets in the way with a vital block. It's the visitors who carve out the first opening, as Collin Quaner's low ball from the right-hand side picks out Rajiv van La Parra in space 16 yards out, but his low, right-footed shot is all wrong and Saints scramble clear. A really good opening wasted by the Terriers there. We're under way at St Mary's! The players have exchanged handshakes and we're ready for kick-off at St Mary's! Check out some of our photos from the Southampton players' warm-up here at St Mary's. Goalkeepers out to warm up! As always, Fraser Forster and his colleagues in the goalkeeping unit are first out to warm-up at St Mary's. those two are important players for us but we have plenty of other players ready to take those spots and we have to show altogether that we are willing to die to take the three points today. I decided the best for today, and I think we have got many games in a row this week and this is the decision. he is training well, but i have to think about today and the next few games. Targett returns to the side! It's a first appearance of the season for Matt Targett, who comes into the side as one of five changes made by manager Mauricio Pellegrino. Starting XI: Lössl, Malone, Mood, van La Parra, Williams, Depoitre, Ince, Quaner, Zanka, Schindler (c), Hadergjonaj. Subs: Coleman, Smith, Whitehead, Cranie, Löwe, Volley, Mounie. Starting XI: Forster, Stephens, Yoshida, Hoedt, Targett, Davis (c), Lemina, Ward-Prowse, Tadić, Redmond, Austin. Subs: McCarthy, McQueen, Romeu, Højbjerg, Boufal, Long, Gabbiadini. Team news on its way! Not long to wait for team news! We'll have both line-ups here for you at 2pm GMT. We sat down with Charlie Austin this week, to get his thoughts ahead of Huddersfield. Listen to what the Saints striker had to say in the above video. View some of the best images from training this week, as the Southampton squad built up to its last fixture before Christmas. Not at St Mary's? You can still get a programme! Our cameras were on hand to follow the Southampton players as they made their way into St Mary's Stadium. i think the 0-0 was a fair result at the beginning of the season. but this is a new game, where for sure we will have to be at our best. we have to play with ambition, to show our style. everyone is conscious about what we have to do. We visited Mauricio Pellegrino's office yesterday to speak with the Southampton boss ahead of this afternoon's clash with Huddersfield. Get his view on what he wants to see from his team in the above video. Southampton are without full-backs Cédric and Ryan Bertrand for this afternoon's match, after the pair picked up ankle and hamstring injuries respectively in last weekend's 1-0 loss at Chelsea. It's the final matchday before Christmas, as Southampton welcome Huddersfield Town in a Premier League clash. Saints are aiming to end a run of five games without a win, and they would edge above the Terriers on goal difference with a victory. We'll be with you all day for build-up, team news, match updates and live commentary.